In July we welcome back our beloved Vivian from the Netherlands. 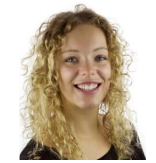 Vivian previously completed work experience with Travel Active in The Netherlands as well as with Smartaupairs Australia during her course of Tourism and Leisure Management. As she is now studying International Tourism Management and Consultancy, she has another opportunity to join Smartaupairs and help us to provide au pair support during the busiest arrival months. Vivian’s CV is an impressive collection of activities, travel and adventure including volunteering in the Netherlands as a swimming instructor and youth scout leader and further afield teaching English to children in China as a volunteer and an internship in Argentina with a sustainable Tourism company. As soon as Vivian arrives in Sydney, she will be looking after our au pairs and make it easier for them to get settled quickly and find friends nearby. We know this is a very important part of our au pair program and we offer regular Meet & Greet opportunities in collaboration with our travel agency Backpackers World Travel.